-The Washington School for Defective Youth was established on February 3, 1886 in Vancouver, Clark County by Watson Squire. -1886: The first site where students were housed was an abandoned frame boarding house called "Alta House"
-1889: Washington Territory became a state. -1891: School director, James Watson, recommended that the "feeble minded" be separated from the deaf and blind students to a building about a half mile away. 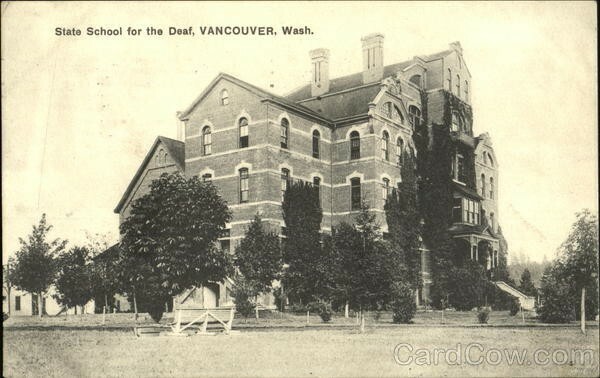 -1893: Edmund Price became the first graduate of Washington School for the Deaf. Washington School for the Deaf Outreach offers statewide services to deaf and hard of hearing students, teachers of the deaf, educators serving the deaf, educational interpreters and families of deaf infants, toddlers and students. WSD students come from all areas of the state to attend school. Students who live outside the Vancouver, Washington area are eligible to attend the school's Residential Program. Residential students at WSD are allowed to live in the cottages during the week and go home to their families on weekends. 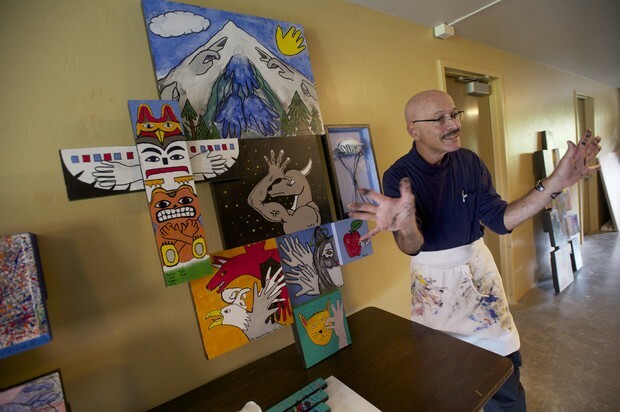 Academic and residential programs are offered at no cost to parents in Washington State. This is the only facility in the Northwest that offers this type of residential life.